This does not bring back Kalief Browder. Sandra Bland will never hug her mother. Philando Castile will never see his daughter get married. Trayvon Martin will never again have father and son time. Michael Brown will never get to explore career options. Countless other young black people will never get to explore the world that they have impacted in death at the hands of police around the country. Friday, Jason Van Dyke was found guilty of second-degree murder and 16 counts of aggravated battery with a firearm. What comfort does this bring to the slaves of the transatlantic slave trade or the many protesters accosted by dogs and fire hoses? How do we appease the generational recipients of addiction from the Carter and Nixon eras? This feeling of relief of one cop being held accountable does not answer the question of deeper mental health issues as a result of orchestrated trauma. There are few forums that allow the processing of the frustration. This is no cause for celebration. The under-served populations of Chicago were able to take the breath that was denied to Eric Garner. I sighed as I sat in the office with co-workers on the top floor of a community hospital. We recalled stories of other Laquans, of other moments in the continuum cut too soon at the hands of police officers. It was a black thing. It is a black thing. It remains the foundation of code-switching and creating alter egos in the face of some white folk to maintain the benefits and paychecks to create a life for our children. It’s why we allow some passions to go deferred. My co-workers and I sat wondering where the crisis intervention and psychological first aid teams are for black people during a trauma. I told the story of my encounters at Marshall High School internship during my graduate studies. This does not alter the history systemic issues of African Americans in America. It does not give us reparations from bodies hanging from trees. There is no mountaintop that King discussed in his speech. We still lay in valleys of inequality. Those freedom rings are echoes of a different generation muffled by gunshots. The struggle remains the same. 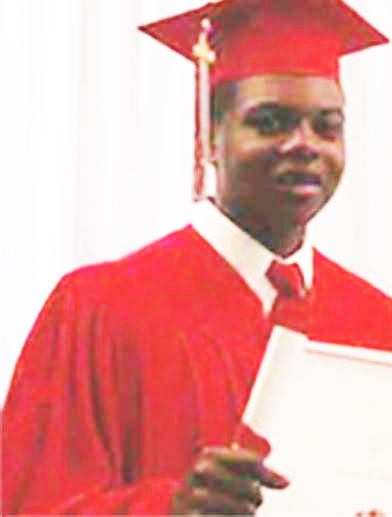 A day before the third anniversary of teenager Laquan McDonald being shot to death by a Chicago cop, members of the Central Austin Neighborhood Association and activists from Chicago Alliance Against Racist and Political Repression (CAARPR) demanded changes of the city's top law-enforcement officials.